Pet odor is a very common problem. At X-Treme we can help you deal with your pet challenges. From minor problems to major headaches X-Treme can help find that solution that works best for you! In many cases our normal cleaning process is all that is needed to correct minor pet problems. The powerful rinsing action of our cleaning system can effectively remove urine and odors from carpet fibers. In the most severe cases, replacement of the carpet padding, treatment of the under-side of the carpet and the sub-floor may be required. Even replacement of the carpet, however, cannot guarantee complete removal of the odor or less the floors are sealed. At X-Treme we offer a range of solutions to help you with your pet odor problems. In the long run, however, it may be more a matter of proper maintenance instead of total elimination. After all, we love our pets and want to keep them a part of our family. Pet ownership adds to the challenge of maintaining a clean and healthy home. At X-Treme we can help you meet those challenges. To prevent permanent staining in the future, clean urine spots immediately by blotting with a white terry cloth towel or plain white paper towels until no moisture is transferred. Call X-Treme and we can come out and use an enzyme for light odors or sub floor extraction method for medium odors, this will help remove the urine that is in your carpet and extract it out, not masking the room with perfume odors. which other company’s due. 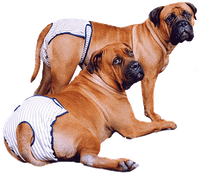 We can also due padding injections and pad replacement if necessary. We are odor control specialist and X-Treme is here to help. Do not use over the counter, general spotters or extraction detergent. If you do not use this formula, ask us about special pet spotters.